Homeside is a detached granite house situated on a large plot with lots of scope. The property would benefit from upgrading throughout and offers potential to extend. 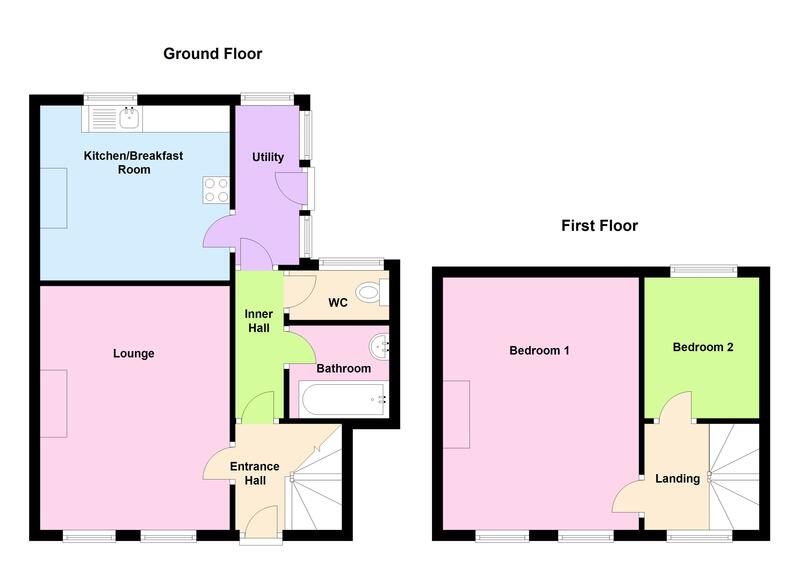 The accommodation comprises of a lounge, kitchen, bathroom, utility and WC on the ground floor and two bedrooms on the first floor. Externally there is a front garden, large side and rear garden and storage shed. A strong indication from the Planning Service Department suggests that it could be possible to form access for parking but planning approval would be required. This property offers huge scope and once finished would make a lovely family home in a convenient location. Contact Cranfords today on 243878 to book your viewing. 14'11'' x 11'7''. Working fireplace. 10'8" x 8'11". Appliances include Belling oven with four ring hob, Igenix fridge/freezer. Electric fireplace. 5'9" x 5'8". Two piece suite. 9'6'' x 4'. Appliances include Indesit washing machine. 7' x 6'6". Staircase to large attic. The property is approached off the lane by a pedestrian gateway and path leading up to the front door with a lovely lawned garden to the front. There is access off the main road to the rear garden through double doors and a further pedestrian gateway. There is a granite built store/workshop at the rear and a large lawned garden to the side/rear. There is potential to create vehicular access/parking to the side of the property subject to planning permissions.